Apple’s well-documented acquisition of Beats Electronics was officially announced only a couple of weeks ago, but even though co-founders Dr. Dre and Jimmy Iovine clearly enjoyed their first publicized engagement alongside Tim Cook and the other Apple executives, the company is still very much on its game as far as the business of releasing new products is concerned. Having already taken the wraps off the new Solo2, Beats has just announced its very first wireless earbuds in the form of the Powerbeats2, and like the original Powerbeats, they are designed with the active, sporting individual in mind. When running or embarking upon any kind of rigorous activity, normal earbuds tend not to cut it. The constant movement means that most of the time, they fall out, and as such, most headphone makers offer Powerbeats-style designs complete with over-ear clips. With the Powerbeats2, the clip has been slightly redesigned for added comfort, but the main attraction is the new-found wirelessness. A world without wires is always a better world, and having established a solid market with the first set of Powerbeats, the follow-up is all the more impressive. 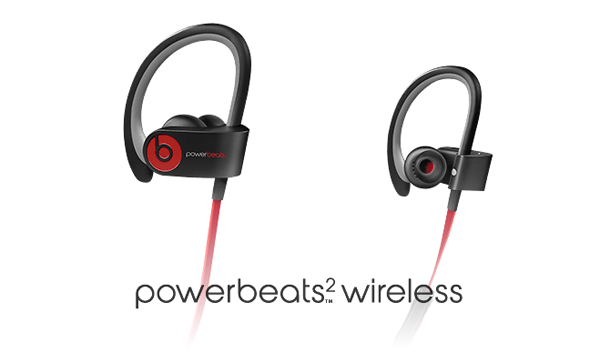 It connects, as you would imagine, through Bluetooth 4.0, and although wireless earbuds often serve as an additional headache in that they become yet another gadget to add to the battery watch-list, the Powerbeats2 will churn out a very agreeable six hours of your favorite tunes from a full charge. Not only that, but for gym-goers, the Powerbeats2 can apparently charge up for an hours’ use in just 15 minutes, which is not bad going if you forgot to power them up before a workout. 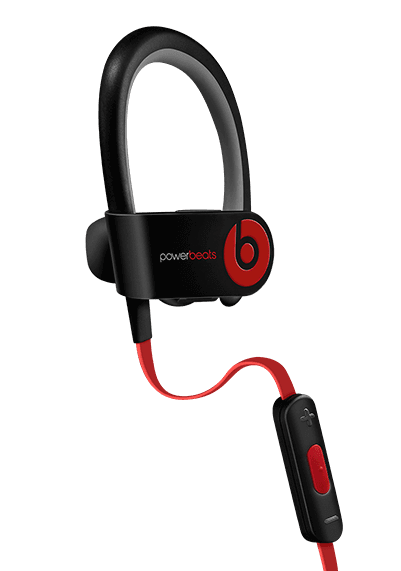 Other perks include water resistance, although this isn’t to be confused with waterproofing, and so while the Powerbeats2 should be able to survive a jog in the pouring rain, you won’t want to be taking them into the swimming pool with you. Elsewhere, you get your standard LED monitor indicating how much power you have left, and for $199, you can take your pick of red, white or black color options. 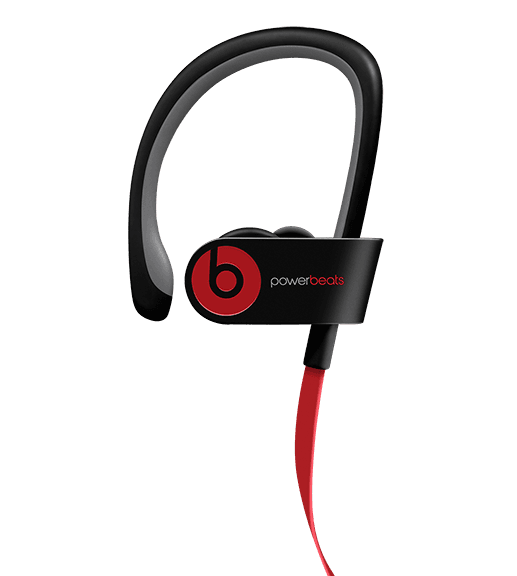 The Powerbeats2 will launch later on in the month, and with improved sound quality to boot, will surely appeal to the active portion of the Beats community.